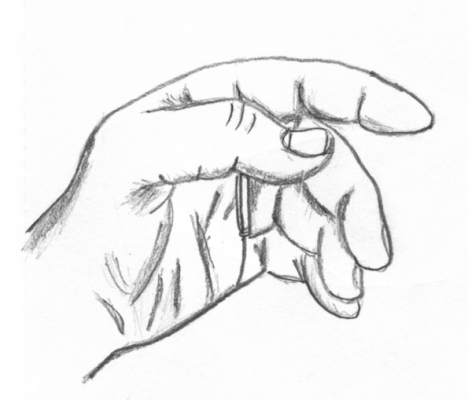 Drawing is an acquired skill, not a talent—anyone can learn to draw! All you need is a pencil, a piece of paper, and the willingness to tap into your hidden artistic abilities. You Can Draw in 30 Days will teach you the rest. With Emmy award-winning, longtime public television host Mark Kistler as your guide, you’ll learn the secrets of sophisticated three-dimensional renderings, and have fun along the way. In just 20 minutes a day for a month, you can learn to draw anything, whether from the world around you or from your own imagination. It’s time to embark on your creative journey. Pick up your pencil and begin today! 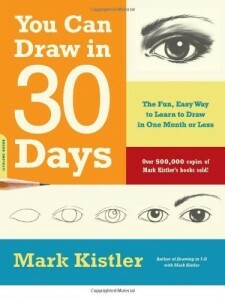 I was somewhat dubious when I set out to complete Mark Kistler’s instructional book, You Can Draw in 30 Days. Despite his claim that drawing is a skill and not a talent, and that anyone can learn to do it, I had no expectation that I would emerge from the experience with the ability to create vividly realistic drawings. And, indeed, that did not happen. I did, however, learn some interesting and useful techniques, and if the goal has been merely to gain confidence and a grasp of some basic fundamentals, then I’d say it’s been achieved. First, Kistler has students complete a pretest in which they draw a house, an airplane, and a bagel. Here’s mine. 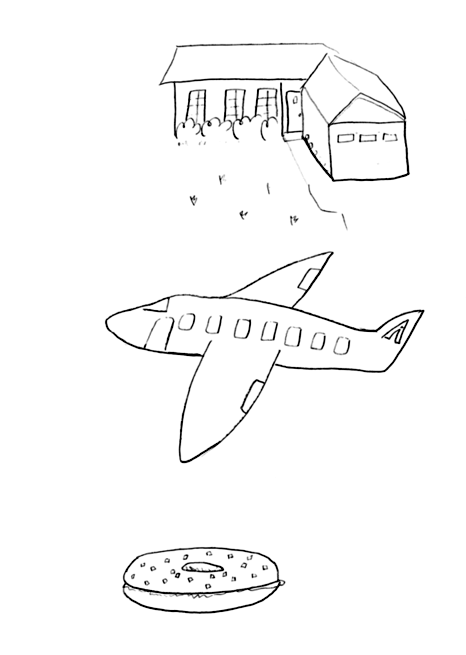 Please do not laugh at that pathetic airplane too much. From there, students progress through a series of lessons designed to introduce and elaborate on nine “foundation elements,” which include concepts like overlapping, shading, and contour lines. These ideas are reiterated frequently throughout the book, and I enjoyed some more than others. For example, I got a little tired of drawing shadows all over everything, but the way that contour lines—here exemplified via figures Kistler has dubbed “contour kids”—can make objects appear to be in motion is extremely cool. The first seven lessons focus on basic shapes—spheres, cubes, towers—but then Kistler begins tossing in some rather odd things like koalas, roses, scrolls, and rippling flags. Each lesson is still imparting some essential useful idea, but they do reveal that Kistler’s style is essentially cartoony. Here’s my koala, from lesson eight. 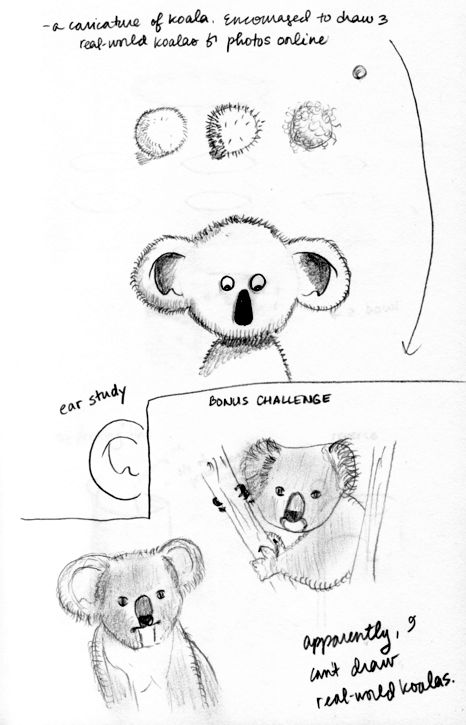 The bonus challenge for that chapter was to draw some real-world koalas, and while my efforts look better to me now than they did originally, the fact remains that I did not (and still do not) feel well-equipped to actually faithfully reproduce a realistic-looking koala. 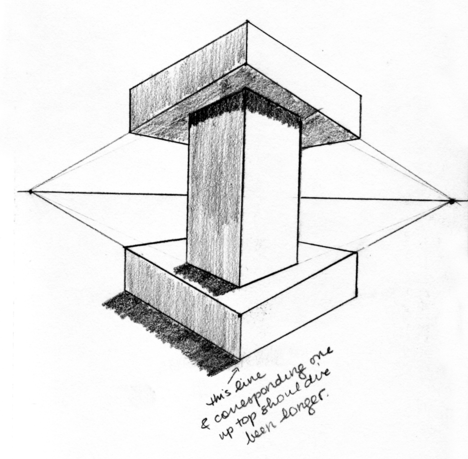 Beginning with lesson 22, Kistler focuses on drawing in one- or two-point perspective. I enjoyed these exercises a lot—possibly because I got to draw with a ruler, which made everything nice and crisp. Here’s my tower in two-point perspective, which looks pretty good despite a couple of minor flaws. On the whole, the progression of the lessons makes sense and I have few complaints. However, I must voice my objection to Kistler’s attempts to foment enthusiasm by asking lame questions throughout the book. “Are you inspired?” “Are you excited?” “Don’t you feel like a collegiate fine arts student?” This invites readers to say, “Um, no?” I get what he’s trying to do, but jeez. Enough is enough. Ultimately, a better title for this book would have been You Can Draw Certain Things in 30 Days. I still don’t feel like I can draw well in general, but I think I’m a bit better than before. 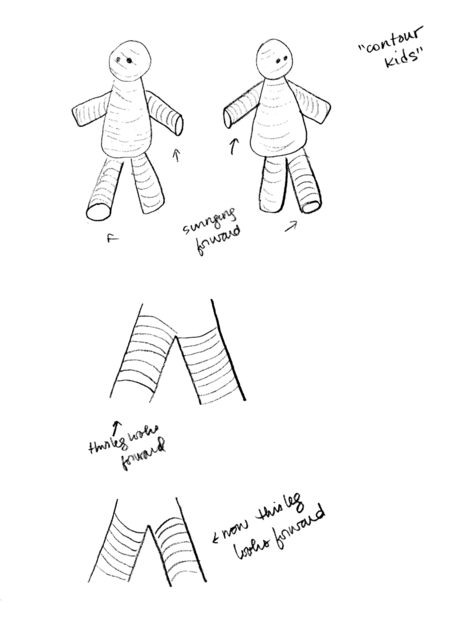 Certainly, I could apply these lessons to drawing everyday objects that fit the shapes covered in the book. So, if you ever need a picture of your loved one, don’t call me, but if it’s an open cardboard box you want, I’m your gal.